Illegal boxing promoter Turkish (Jason Statham) convinces gangster Brick Top (Alan Ford) to offer bets on bare-knuckle boxer Mickey (Brad Pitt) at his bookie business. When Mickey does not throw his first fight as agreed, an infuriated Brick Top demands another match. 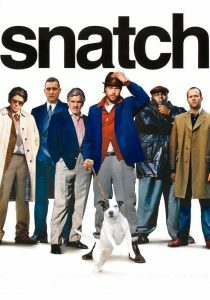 Meanwhile, gangster Frankie Four Fingers (Benicio Del Toro) comes to place a bet for a friend with Brick Top’s bookies, as multiple criminals converge on a stolen diamond that Frankie has come to London to sell.